This Canon PIXMA MG2550 All in One Printer is a user-friendly machine that produces high-quality, value for money prints. This printer has a quiet mode for printing. This space saving wired all-in-one printer, scanner and copier will automatically turn on when you start printing and turns off when not in use. 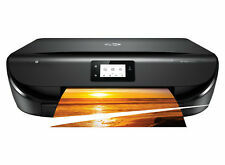 HP Envy 5020 All in One WIRELESS PRINTER SCANNER COPIER. - power cable, usb cable - Included. - CD software or user manual - not included (easy to download from HP website). - fully tested and working condition. HP LaserJet 1020 Workgroup Laser Printer, ideal for long-term use, the most robust printer version. Besides printer itself, power cable, USB, almost new toner are included. Feel free to ask me any questions about this printer. Up to 250 sheet paper capacity. This printer has been tested and is working, the toner levels for this printer are at least 40 percent. MANUFACTURER Samsung. Rapid IT's highly trained staff each have their designated area of expertise, so should you need advice or assistance you know you'll be getting the best possible help. They are supplied with a testing toner only as we cannot Gaurantee the condition or remaining pages. Printer Spares specialise in the sale of refurbished printers, parts and accessories. These Printer are our refurbished Printers. HP LaserJet 1320 Standard Laser Printer. Condition is Used. Some fading to outer. Has a compatible toner cartridge with significant quantities of ink remaining. Only selling as have a colour printer now. Not wireless. Drivers download from HP site can be seen working Collection in person only. Brother a6 thermal printer MW-260. Condition is Used. Condition is used. Slightscuff in frontt op a s se en. LabelWriter 450 Label Printer. DYMO Label Software Instalation CD. Thermal printing technology eliminates the need for expensive ink or toner. Eliminate the waste and hassle of sheet labels - prints up to 51 labels per minute without difficulty. ZEBRA GK420D - USB/ Serial. Model: GK420D. Thermal Direct Printer. The HP Colour Laserjet above has been owned from new by a small Mid Wales Charity who no longer require a high speed laser printer. It is an advanced model with automatic two sided printing. Epson EcoTank ET-2600 WiFi Multifunction Printer built in Ink System. The OfficeJet Pro 8600 prints 20ppm black and 16ppm colour. In addition to this, you can further boost your productivity with the automatic two-sided printing function that works with scanning and copying too. Personal Compact Duplex Ready Desktop Printer. USB and Parallel A4 Mono Laser Printer. Brother HL5340D. USB & Parallel. Up to 30ppm Mono Print. 1 x Brother HL-5340D. Warranty ; 6 Months RTB Warranty. Windows & Mac Compatible. Size H14.1, W40.3, D17.1cm. Weight 2.33kg. General information. All-in-one office printer with Print, Copy and Scan. INKS level varying. Ultra-low-cost printing and Save 90% on ink costs on average. Full working order and Excellent condition. Condition & Contents. Up to 33ppm Mono Print. YOU CAN CONNECT IT TO A PERSONAL COMPUTER OR VIA NETWORK. Automatic Double Sided Printing. USB & Network. 1200 x 1200 dpi Print. HP LASERJET P2055dn A4 NETWORK. LASER PRINTER P-COUNT BETWEEN 77,345 FREE TONER. PRINTER TEST PAGE WILL BE INCLUDED. USB PRINTER CABLE. PAGE COUNT 77,345. SORT OUT THE ISSUE STRAIGHT AWAY. FREE POWER LEAD. Kyocera FS-1300D duplex mono laser printer. Condition is Used. Comes as shown in the picture without toner cartridge. The GX430t has a sleek and compact design, boasts the easiest ribbon loading system on the market, and supports a variety of applications and industries. Condition is Manufacturer refurbished. This 203 dpi label printer is designed for a wide variety of industry applications. This printer is currently set-up with specialist ink for printing on mugs and t-shirts. However, it can be used as a normal printer/scanner - you'd just need to change the ink and flush the system. HP LaserJet 4200dtn. 1 x HP LaserJet 4200dtn. LaserJet A4 Mono Laser Printer. Extra 500 Sheet Feeder. Fast Network & Duplex Ready Workgroup Printer. 1 x Duplex Unit. Connectivity: Parallel and 10/100 Base-TX Ethernet. HP LaserJet P2055 Laser Printer. Condition is Used. Dispatched with eBay delivery – Shutl 2-3 days. EXDISPLAY MODEL -GREAT CONDITION Epson EcoTank ET-2600 Wi Fi Print Scan Copy all in one inkjet printer C11CF46401. HP OfficeJet 3835 All-in-One Wi-Fi Printer - No Ink. Model #3835. Product Line HP OfficeJet. Printer Type All-in-One Printer. Resolution 1200 x 1200 DPI, 4800 x 1200 DPI. Modified Item No. Product Key Features. HP LASERJET P2055DN PRINTER. AUTO DUPLEX. NO TONER INCLUDED, REQUIRE BLACK TONER. PRINTER TEST PAGE IS INCLUDED. THIS PRINTER IS FULLY WORKING TESTED. TOTAL PAGE COUNT : ABOVE 50,000. HP LaserJet P2055DN. 1 x HP LaserJet P2055DN. LaserJet A4 Mono Desktop Laser Printer. Network & Duplex Ready. Connectivity: USB & Ethernet. Print Speed: Up to 35 ppm Black. Warranty ; 6 Months RTB Warranty. Get more done with the easiest way to print from your smartphone or tablet. It fits in nearly any space and works quietly in the background. Easily print from a variety of smartphones and tablets. Save up to 70% on ink with Instant Ink and never run out of ink. Brother HL-L2350DW A4 Mono Laser Printer. Great Chance to get a New Printer at a bargain price! This item has been out of the box but never used. Supplied with full manufactures warranty. Up to 30 ppm Print Speed. OKI Microline 3320. 1 x OKI Microline 3320. A4 9 Pin Dot Matrix Printer. Parallel and USB Connections. 1 x Ink Ribbon. 1 x Power Cable. Warranty ; 6 Months RTB Warranty. 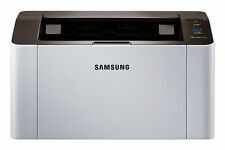 Samsung ProXpress M3320ND A4 Mono Laser Printer - SL-M3320ND/SEE. Green Printer Collections. Fully Refurbished with 6 Months RTB Warranty. ● Consumables e.g Toners, Drums etc are not covered by the warranty. BROTHER MFC-J5320DW Biz SMART WIFI PRINTER with box.takes 250 A4sheets in tray. 4.5 out of 5 stars - BROTHER MFC-J5320DW Biz SMART WIFI PRINTER with box.takes 250 A4sheets in tray. 38 product ratings38 product ratings - BROTHER MFC-J5320DW Biz SMART WIFI PRINTER with box.takes 250 A4sheets in tray.